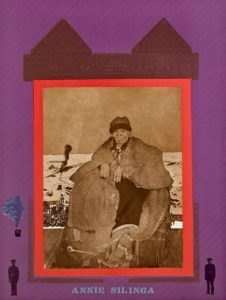 I can’t afford the artworks I love, so I am a serious cheat – if I can’t buy an original print I frame posters, calendar images and even postcards!! And that is what I have done with Sue Williamson’s A Few South Africans 1983-85 series. 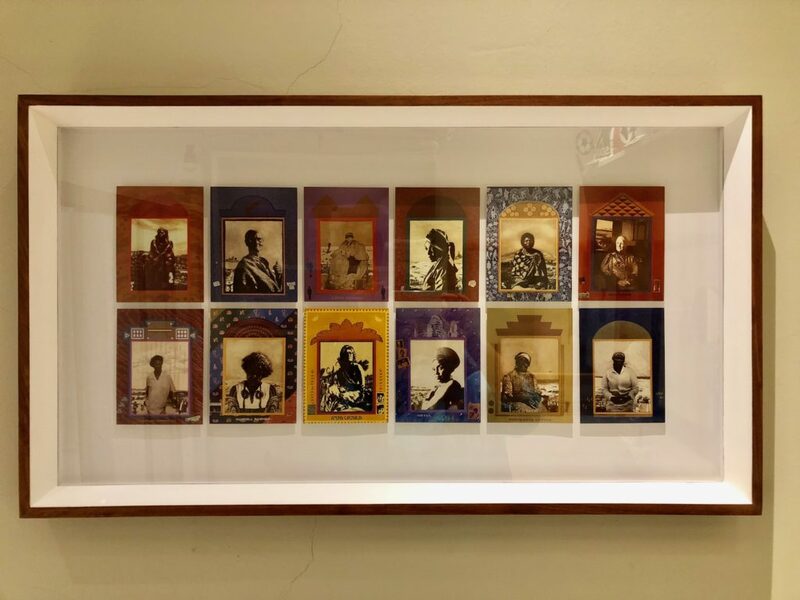 Along with the huge installation, Williamson had 12 of the images made as postcards in order to make the images widely accessible to the general public and it is these that I have had beautifully framed and delight in daily. 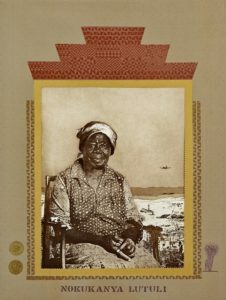 The original images are photo etchings and screen print collages of 16 remarkable South African women, heroines in the struggle for freedom. Each work measures 100 X 70 cm so the entire installation is over 17 metres. 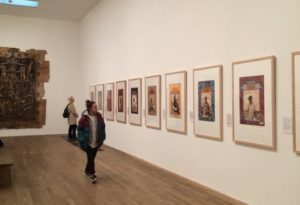 The work now forms part of the Tate Modern’s permanent collection. 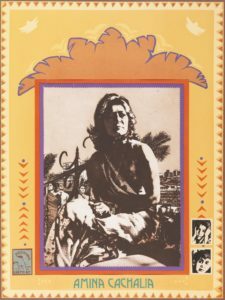 Each work comprises a central image which is a photo-etched portrait with additional etching techniques like aquatints and drawing through hardground. Some photos Williamson took herself, others were sourced from banned books in University libraries and archives. In each case, the background behind the centrally placed portrait refer to key events in each woman’s life. Stay at our well located Guest House in Johannesburg. View our Craighall Guest House for Rates and Availability! 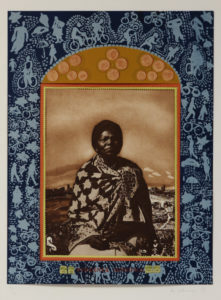 The decorative silkscreened borders surrounding each portrait makes reference to the practice in the townships, where important photographs are displayed in homes often with colourful handmade frames often made of paper and including frames of coloured paper and printed images. 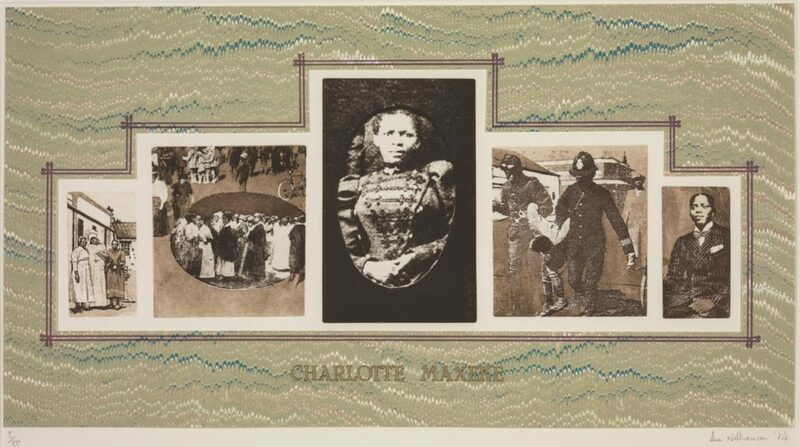 The works not reproduced in postcard form comprise one depicting Jenny Curtis Schoon as well as 3 works in landscape format, each of which consist of 3 or more works in one frame: Elizabeth Paul; Maggie Magaba and Charlotte Maxeke. During the Defiance campaign in 1952 while addressing a public meeting, Annie Salinga (1910 – 1984) declared “I will carry a pass the day the Prime Minister’s wife carries a pass.” She was arrested often and was part of the 1956 Treason Trial. Astonishingly, although carrying a pass would have enabled her to get a state pension, she never did. She died in 1984. In 1957 bus fares were going to increase. Virginia Mngoma helped organize the Alexandra bus boycott when, for 3 months, commuters refused to catch buses and rather rode bicycles or worked to work. The fares never went up. 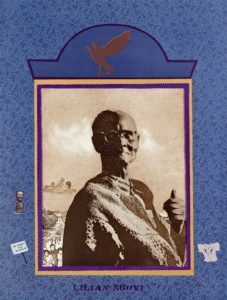 At the 1955 Congress of the People in Kliptown, Helen Joseph (1905 – 1992) was one of the leaders who read out the clauses of the Freedom Charter adopted at this meeting. And in 1956, she was one of four women (along with Lilian Ngoyi, Albertina Sisulu and Sophia Williams-De Bruyn) who led 20,000 women in a march to the Union Buildings to protest against women carrying passes. She was put under house arrest for a decade from 1962. Lilian Ngoyi (1911 – 1980) was the first woman elected to the executive committee of the African National Congress. She was one of the leaders of the 1956 Women’s march and, like other activists, was placed under continual heavy banning orders. 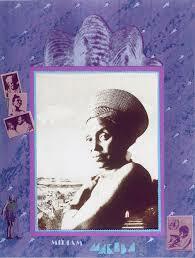 Her house in Soweto is a heritage monument. Miriam Makeba (1932 – 2008) is widely known even by those who are neither historians nor struggle activists as she was the vocalist with the Manhattan Brothers and then achieved international fame in King Kong. She was exiled when the South African Government withdrew her passport after she gave evidence against Apartheid at the United Nations in 1963. Amina Cachalia (1930 – 2013) was a political activist and was consequently hounded by the police all her life: She was banned from 1963 to 1978 which meant she could not even talk to her sister (also banned) who lived next door. Albertina Sisulu (1918 – 2011) the stalwart nurse, political activist, and supporter of women’s organizations, was also wife of Walter Sisulu,a Robben Island prisoner from 1964 to 1989. Mamphele Ramphele is a medical doctor who had a great impact in Lenyene in what was then the Northern Transvaal (now Limpopo). 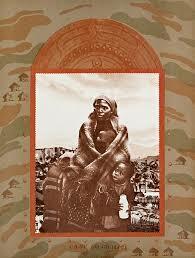 She was banned there by the Apartheid Government and started a clinic and day-care centre. Caroline Motsoaledi was a factory machinist, a mother of seven children, and because her husband Elias was jailed on Robben Island from 1964 to 1989, she was also a single parent. Wives of male activists played a crucial role both as independent players as well as supportive partners who kept ‘the home fires burning’ while their husbands were working, banned or imprisoned. 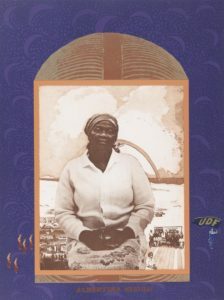 Nokukanya Lutuli (1918-2011) was one such. And her husband Albert Lutuli in his acceptance speech of the Nobel Peace Prize in 1960, said she deserved it as much as he did. Like Ramphele Mamphele, Winnie Mandela was also banished to a rural village, in this case Brandfort in the Free State and like many other brave women, she was a prison widow for over 25 years. Plus she was imprisoned in solitary confinement for 17 months, placed under house arrest which barred her from her job as a social worker and banished to the Free State for 8 years from 1977. Sadly her image became tarnished with her involvement in the rogue activities of the Mandela United Football Club and the torture and murder of Stompie Seipei in 1988. And powerful in a different way is Case no 6831/21. Williamson says: She remains nameless ‘for she was but one of thousands in the same situation. 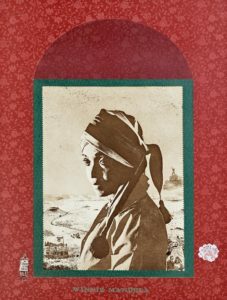 Although her husband was a contract worked in Cape Town she had no legal right to live with him and spent her life avoiding being arrested and deported to her so-called ‘home’. She represents the thousands and thousands of displaced, repressed, marginalized and so-called illegal migrants from the rural areas. — Rallying call for Women. Wow Liz, what an excellent idea to frame the postcards and your summary is great!